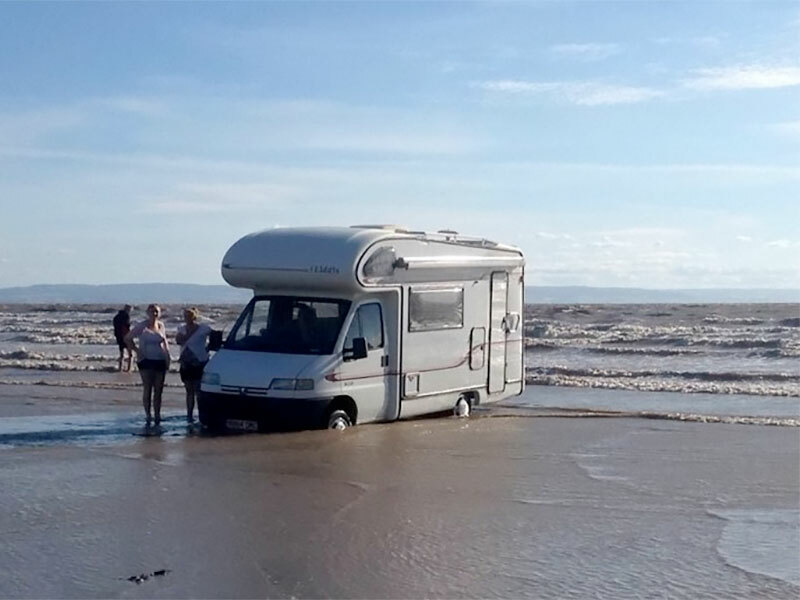 It never ceases to amaze us how some of our international visitors have no idea how to be safe on their holiday! 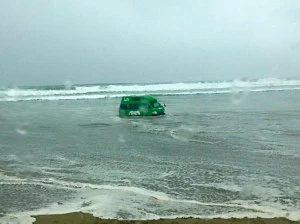 Many believe it is ok to simply hire a camper-van and go driving on our stunning Auckland beaches, especially the rugged wild west coast of Auckland, without a thought for the safety of them, their passengers or indeed our beautiful environment. 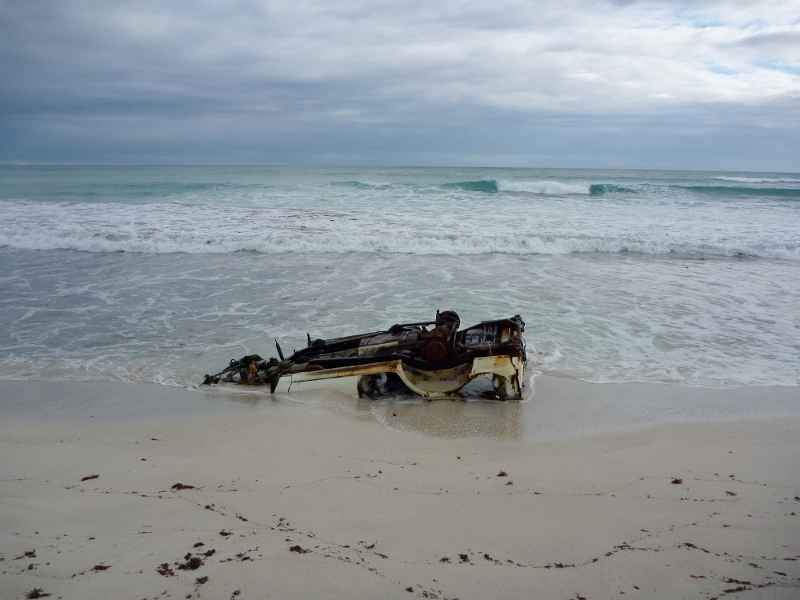 Seeing images such as the one above, makes us sad to think that we have another vehicle polluting our Tasman Ocean and that this was the result of people not checking out the correct procedure before venturing off on their day at the beach. 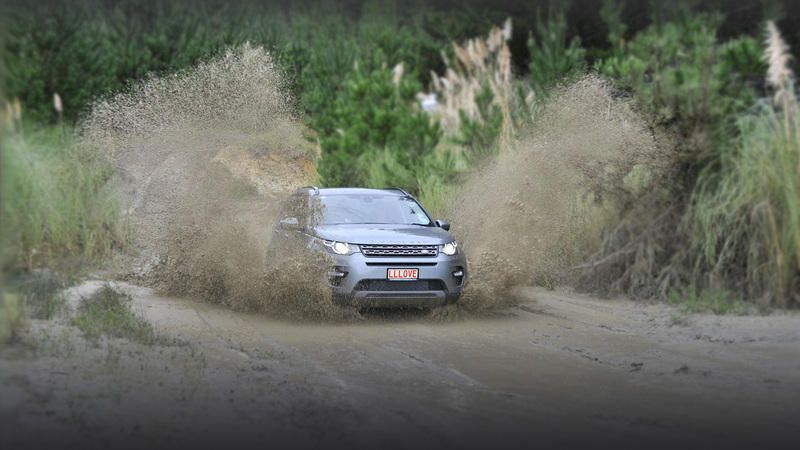 They didn’t even know what a four wheel drive vehicle was! The wild west coast of Auckland with it’s black sand holds a special magic for us as this is one of our special places we operate in. When we look up the 45 km stretch of beach we often see the mist creeping in over the magnificent sand dunes, whilst our clients enjoy a quiet walk beside the ocean. However, we put a lot of work in behind the scenes to ensure the safety of our passengers at all times whilst driving on this and other beaches. For example, before we even pick them up at their hotel, we already know if they have any disabilities or issues that may cause them a delay in exiting the beach should we have mechanical failure. Land Rovers of this standard rarely break down as we have them regularly serviced and they are in our opinion, the BEST vehicle in the world to combine luxury and safety all at the same time, but nevertheless we prepare ourselves for any eventuality. We are very careful on how we collate our data such as tide times, sunset and light times plus our safety equipment on board. 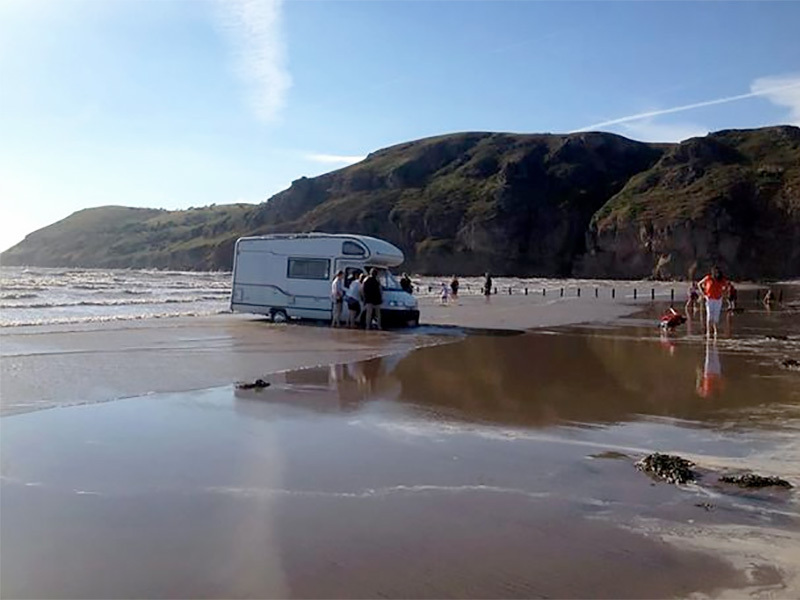 We train hard to know what to do in the event of an emergency and better still how to remove one of our vehicles and our passengers safely from the beach should we get stuck. Be safe on your visit to New Zealand and especially the wild west coast of Auckland. Contact us for free safety advice of you are unsure of how to be safe around our beaches. We want you to have an amazing time. 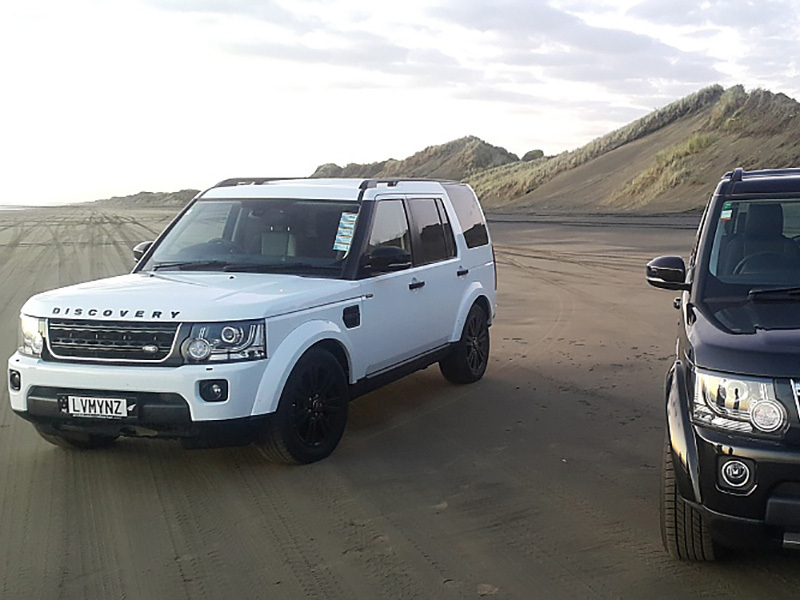 If you wish to discover the west coast of Auckland, contact us for some tips on general beach safety, whether you are driving or just relaxing at the beach, we want you to go back to your hotel energized, not hurt.